If you use a computer and are connected to the Internet then you have probably encountered spam e-mails. They are those unsolicited e-mails sent to you with usually a devious purpose in mind. They might want you to sign into an online account, share personal information, download a virus, or click on a link. This article will help you recognize and avoid spam e-mails completely. First we need to clear up exactly why people send spam e-mails. The main purpose of spam e-mail is to make money. Spam e-mail costs almost nothing for the spammers to send and therefore all gatherings from a mass mail out is profit. Spam e-mails usually contain advertising that someone is making money from. Spam e-mail may contain links for you to click on and visit particular websites, where someone is getting paid to create website traffic. A spam e-mail might want you to sign in to your eBay or PayPal account to either steal money or sell items on eBay that don’t exist through your account. A spam e-mail might ask for personal information which can be used to log into your bank account and even steal your entire identity. A spam email could contain a virus and when you need help with your virus a bogus program will pop up on the screen and give you a free scan. See other ways to protect your computer from these types of attacks. Learning how to avoid spam e-mails is not rocket science, it is mostly common sense. But common sense does not always come naturally so we must learn these tips to keep safe and avoid spam e-mails. If you are serious about avoiding spam e-mails then the simple answer is to turn off the Internet. The emails are coming through your Internet service provider which is usually connected to your e-mail address. Of course this will not work for most people, including me as I work on the Internet. I would seriously cry if I had to turn the Internet off because I know there are other options to avoid spam e-mails. Education is a key defense against spam e-mails and even computer security as a whole. One of our most popular articles on this website is accusing YOU of being a unwitting cyber security terrorist; the same can apply to the spam email saga. See some common examples of spam emails below. Learn to recognize them and avoid opening and clicking on anything inside these emails. I have inherited some money and I need someone else’s bank account to deposit it to. I am a prints from a foreign country and I need to escape. I have a lot of money can I put it in your bank account? Someone has hacked your PayPal account, login to your account now and change your password. They send you to a dummy page and collect your login details. You have a dispute on eBay and you need to login to reply. Your online account at a certain website has been shut down and you need to login to fix the situation. Your bank details have been compromised and you need to login to your bank account and update your security details as soon as possible. Here are some more examples of spam emails. Telling someone not to share their e-mail address is easier said than done. There are definite an obvious places where you shouldn’t share your e-mail, such as Facebook, when commenting on websites, and even on your own website. The basic rule is that your e-mail address should never be written in full online. That is one rule of not sharing your e-mail address. The next rule can ruin every other rules there is. That is the rule where you actually share your e-mail address with your personal friends. This is the biggest risk of all as you do not know what your friends are doing with your e-mail address. Are they smart enough not to enter your e-mail address online? There are many traps out there where you can gain bonuses online for sharing your friends e-mail addresses. Not just that, does your friend know how to send a BCC email when sending to a whole list of friends at the same time? If not, they might be sending your e-mail address to all of their other friends. Maybe you’re using a public hot spot that is not protected and sharing stuff on an open network. There is a great way to use your e-mail addresses as a security feature that is layered. For example you have one main e-mail address that you share with no one, not even your best friend. This e-mail is used for banking and government dealings. Then you start to create disposable e-mail addresses. These e-mail addresses are used for online accounts and communicating with friends. But because these disposable e-mail addresses are free, you can create as many as you like. For example you can create one for your friends only. Then you can create one for Facebook, Twitter, and other social media outlets. These disposable e-mails are not always secure and I have written articles about how to tell if your Gmail has been hacked, because it does and will happen. If you do get hacked and you have these multiple layers in use, then the hacker will only have access to one layer of your life. See this detailed article on how to protect your identity with multiple layers. Your Internet service provider (ISP) will have software and hardware to combat the spam e-mail that comes in daily. If you are being bombarded with spam e-mails you can definitely contact your Internet service provider to let them know. The reason for doing this is not for them to fix your personal problem, but to gather data to improve their job to blocking spam e-mails. If you do not let them know you will be relying on them to find out for themselves. You can also see if your ISP has a white listing service where you can white list e-mail addresses that you do want to accept. This is a great way to receive e-mails as your Internet service provider can sometimes hold back good e-mails and mistake them for spam. If you set up a white list either through your ISP or through your e-mail program on your computer, you will be sure to get the right e-mails coming in. Creating strong passwords can apply to online accounts, computer logins, and everything that requires a password. At Tips4pc we have ranted on about creating strong passwords for years now, but this time we are talking about e-mail login passwords. Not only should your e-mail login passwords be strong, they should also be changed often. You could almost call this password maintenance, because keeping the same passwords is a security risk. Wake up and smell the roses! If you are going to get caught by these spam e-mails then it is probably your fault! Yes that is harsh to say but often very true. People often get lured in by something that is too good to be true. They simply do not think before taking actions. For example you might get an e-mail that offers you a free iPad or a free iPhone. Are you kidding me? But don’t laugh because many people have fallen for this same trick. Another example is offering an item for sale that is unbelievably cheap. The e-mail recipient thinks this is fantastic and enters in a credit card number to pay for the item. Good one! Now the scammer has your name, address, phone number, and credit card number, along with the security number on the back of the card. As soon as this spammer receives this information they will be off on a shopping trip of a lifetime. To avoid these scams and only end up looking at real offers, go to your website browser and type in the website address yourself. Never click the link that is offered to you in the e-mail. Most of the time when people send out spam e-mails, they actually have no idea if the e-mails are valid or even is still in use. If you reply to these e-mails you are letting the spammers know they have hit the jackpot with their spam reaching a real person. So you might as well be putting up a big sign saying “yes I am here” to the spammers. They will be rejoicing and planning how to trap you with other emails. For example, they might send you something that is shareable with all your friends so you send it on. Now their email is reaching more people which means more opportunities for profit. In most cases, spam e-mails are harmless if you know what you are looking for. The problem is that there are so many variables in this area, that the average computer user finds it hard to distinguish between spam and a real e-mail. After all, spammers come up with new ideas to scam you every day, that is their job. We can try and keep up with all the changes that spammers come up with or we can install software to do it for us. A software program will not upgrade your memory but it will clean out all the junk files, detect Malware, delete unused registry keys, Automatic Driver updates, and protect your computer when you accidentally open the wrong email. I am using PC Matic to maintain everything for me as it not only cleans up the computer for lightning fast speeds, it also protects my files. If my computer is secure I have a better chance of securing my online accounts. This software is amazing and has won a number of top awards. 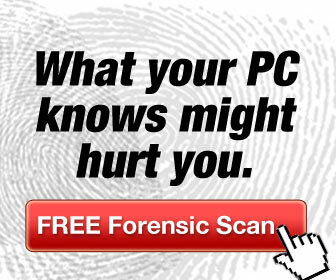 You can get a free scan for your computer to see how it works before you buy. These tips will help you stay safe, but also remember to use your common sense and watch out for anything suspicious. I’m really protective of my e-mail so i usually try not to opt-in to receive additional e-mails after making an online purchase. Not necessarily spammy but its truly bothersome.